Beautiful job ! I would not even have recognized that as a Warcraft . That looks pretty cool ! I never had any luck trying to make a rope dart / kunai / flying dagger that actually worked right . IIRC I tried using a " Shanghai Shadow " . I don't know if it works or not, I just wanted to build it. I've been trying to learn the rope dart/meteor hammer, but even watching the demonstration videos there's just so much I can't follow. Be VERY careful with any "flexible " rope , chain etc type weapons practice because they can do weird and unexpected things , especially when they bounce off something . I got hurt a lot practicing with nunchucks and even worse with weighted chain / manriki-gusari/ karsari-fundo . Very difficult to master . Adding a sharp point / edge makes it just that more dangerous . I've got that one covered, I've got a practice dart/hammer with a tennis ball on the end. Even went with a blue scarf on it for such purposes since blue designates inert training dummies. I modded this Warcraft Tanto a while back. It was extremely heavy and didn't cut very well out of the box. Much lighter now and cuts far better. That looks amazing. How much would you charge to do that to my knife? Also, did you have to make a new sheath? Nope, you can still use the original sheath. 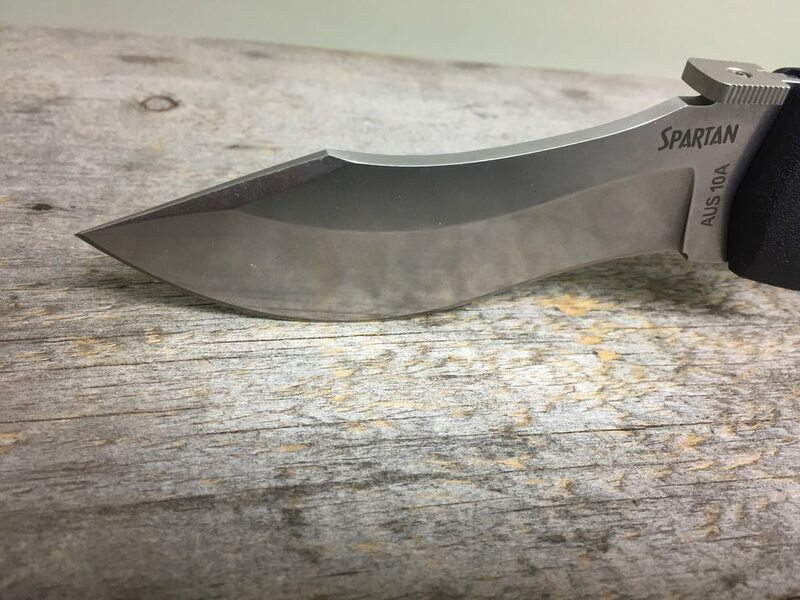 Modded Spartan blade profile. Weight dropped by a few tenths of an ounce which shifted balance back to index finger. HFinn, slicecream, razorburn and 9 others like this. Thats cool as hell. Kinda has an Osborne look about it. Took the half serrations off of my old Aus 8 voyager. Its not perfect (just noticing how bad I now need to grind the little notch off) but I like it way more than I did before. It has a little recurve now. slicecream, RickyBobby, G. Scott H. and 5 others like this. 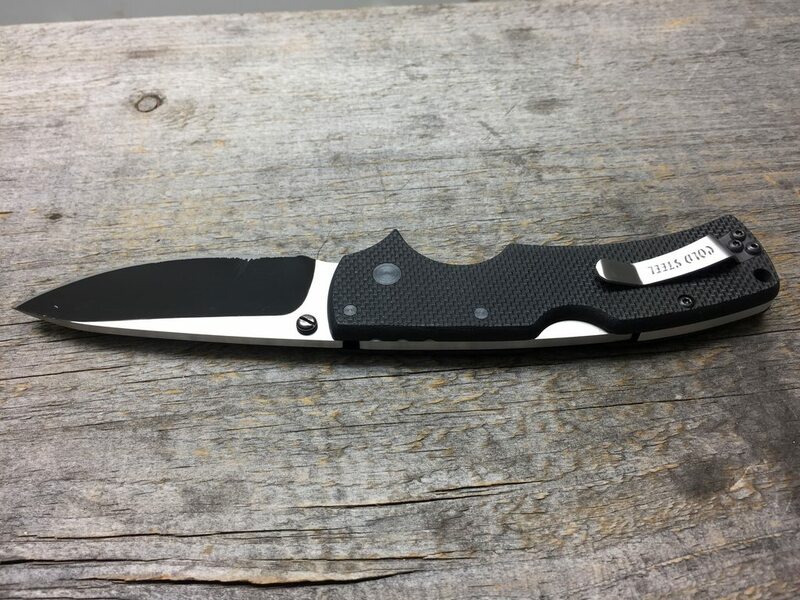 Every half serrated knife needs this mod! G. Scott H., oxman198 and DocJD like this. Only after you can't sharpen them anymore ! 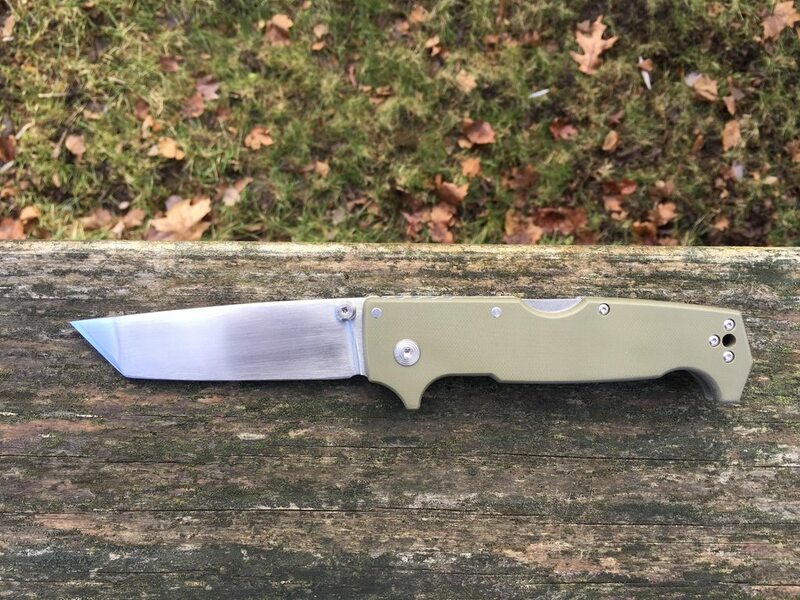 I made a Recon 1 into a "navaja". I used only Dremel sander and wet sandpaper. The spear point resembles a Malaga - style blade, leaf or spear point shape was actually quite common. 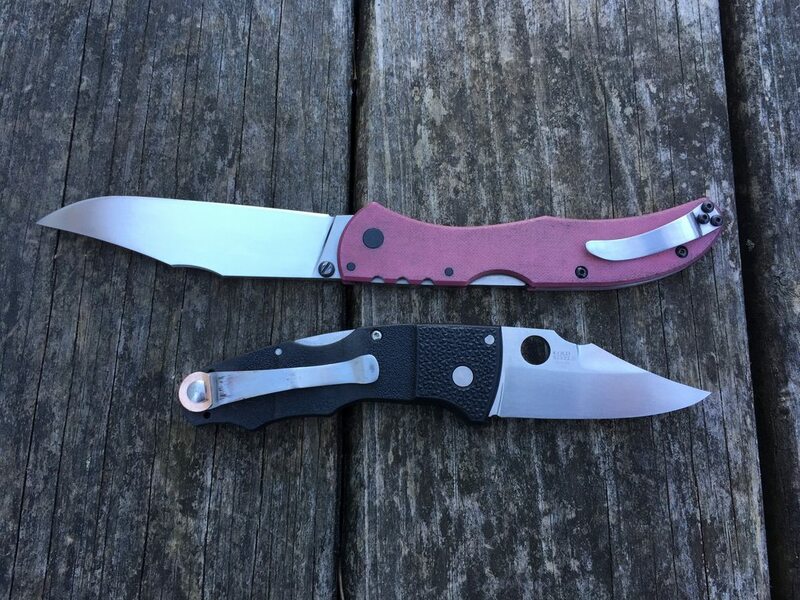 So this is a modern navaja, "Malaquena". If I really get crazy I could make "carraca" ratchet into the tang, I have seen it done. slicecream, The Zieg, G. Scott H. and 3 others like this. I think I will get another Recon 1, the clip point and make it into s "Sevillana" just for the hell of it. I prefer the look of the saber grind but this is what happened when I started thinning on belt grinder. I'm not master of the 1X30"
Anyway, I had fun modding. I shaved off a few tenths of an ounce in weight. It weighs 6.8oz and the balance is now perfectly neutral. Before it was slightly blade-heavy. 1. Regrind to thinner flat/slightly convex. 2. Nylon washers replaced with PB. 3. Scales sanded to remove texture. 4. Clip shorted because tip broke off when try to straighten with hammer. Still has sufficient clearance for jean's pocket. slicecream and DocJD like this. Thanks for posting, AF. I have been thinking of removing the texture on mind and it's really cool to see it done. Here's one more pic showing clip side of handle. This isn't much of a mod, but I scored a Recon with damaged tip a few weeks ago, and had an M9 bayonet with tip damage as well (my fault, let's never speak of it). Had some time to kill so took my 3yo son to the garage to show him how to grind them out. Now a little stone work and they'll be good as new. This Recon will be his when he gets a bit older, unless I can find him a Carbon-V like mine. slicecream, RickyBobby, jux t and 1 other person like this. 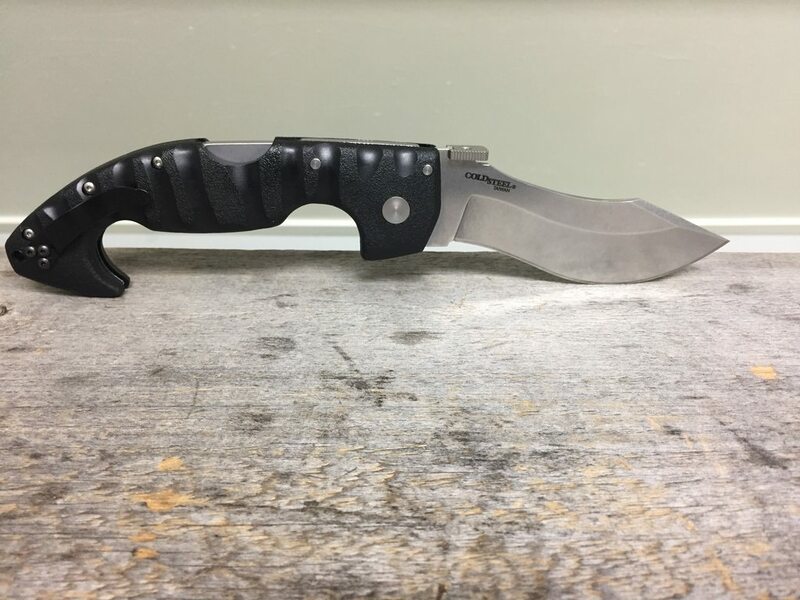 Broken Skull sanded blade, lockbar and clip. 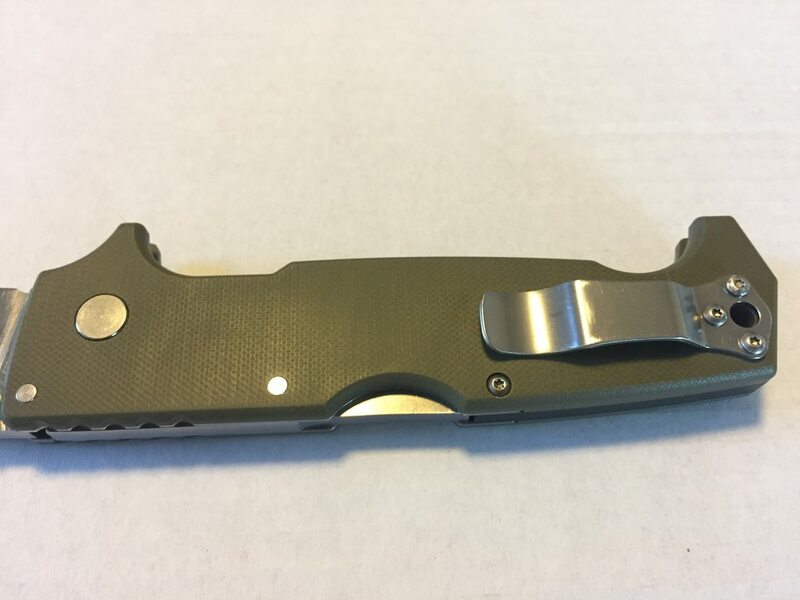 Small blade profile mod. Pink scales dyed to a dirty red...at least they aren't pink anymore! Grik reprofiled, reground and sanded blade. HTR removed. Clip replaced. Not only is the stock clip ugly, it must be lifted when pocketing because it has almost no clearance. dobermaniac, HFinn, Dadpool and 2 others like this. rdg, slicecream and Dadpool like this.